← Grab the FeedBurner Feed! If the colony is making swarm preparations, weeks before a queen cell is drawn the queen will be slowing down her laying rate as she becomes exhausted or as the bees, sensing a drop in queen pheromone, start withdrawing food for the queen. Thus the emerging young bees have fewer larva to feed when they emerge as nurse bees. This surfeit of nurse bees, as yet not fully developed in their first 10 days since hatching from the comb, are milling around in the hive with little or nothing to do. Now, when we tap a hive in this state, the normal hiss starts, and the idle nurse bees react by imitating the response, but their underdeveloped wings and/or inexperience cause the resulting sound to differ noticeably. So, on tapping a colony, if you get a short sharp hiss it will be queenright, while if you get a longer deeper toned attack followed by a sustained decay, which resembles a wave more than a hiss, then you are likely to be facing a swarm soon. This can be noted some two weeks before the first queen cells are drawn and can cut the number of intrusive manipulations required for swarm control, and save a lot of time if you have a quantity of hives. When I read about this and asked other beekeepers I was laughed at, and still am when I ask some beekeepers. I tried it the next season after learning about it and after months of noting no difference in the hiss’s I heard, one day noted an easily recognizable difference; and yes, a week later queen cells were starting to be drawn. Since then I discovered a 1950-60 invention called the Apidictor, and if you know of a beekeeper with electronic and audio design background, you may try to get them interested in building one for you. As soon as I read this article I went out to my hives and started tapping them to hear how they were doing. Sure enough, they responded exactly as Peter wrote that they would. I also did some research and found a schematic for the ” Apidictor” at Beesource.com. There I learned that one E. F. Woods created a device which was able to electronically isolate the key “swarm” sounds…the sounds which could indicate to a beekeeper a possible swarm in the future. So, try it out…listen to your bees. Who knows, we may yet learn something from nature! Thanks to Peter Dight for letting me share this article! 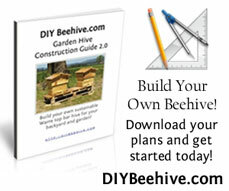 This entry was posted in Beekeeping Advice, Sustainable Beekeeping and tagged backyard beekeeping, beehive, hive tapping, HowTo, listening to your honeybees. Bookmark the permalink. I will hiss for them (as the keeper does for his bees) and gather them in, for I have redeemed them, and they shall increase (again) as they have increased. So I wonder why the bee keeper hisses? To warn them and have them come together with him just as the queen is hissing to protect them and gather them into a new safe place? It is an old bible commentary: 1800’s. Taking about bee’s and bee keeping. Deirdra – Thanks for the link. I will check it out. It is always interesting to look at old books and see how “they” did things back then. “Beekeeping for All” is just such a book. It would be interesting to see exactly what that Bible passage means. Did you insert the text between the parentheses? Hi Nick, that’s quite the amazing thing that, being able to detect a swarm in such a way. Up in till a few days ago I myself was using a jam jar; you know the old trick we all probably did when we were younger. Then a friend of mine gave me a loan of one of those things that the doctors use for listening to your hart. I was amazed how well you could pick up the sound of the bees inside the hive; personally I was doing it to see if my bees were still alive in winter. I would love to get someone to make up one of those apidictors though, especially as I’m not very musical. Also this might be helpful, I read in a book a few weeks ago that an old way to see if a hive would swarm is if some of the worker bees were found to be crawling on the front of the hive just above the entrance in a horse shoe pattern this was taken as a sure sign that swarm cells were to be started within the next few days. Interesting comment Ken I too am researching an apidictor a friend of mine is looking at a new way of producing one with modern components as most of the old listed parts are not available any more.I would be pleased to talk to you about progress and may be able to share some info soon on this blog. please keep developing this resource as I soon will be building my own hives one for this year and one for next, I still can’t decide between kenyan top bar or warre style or even some other more natural format. Any suggetions on how to decide? One more thing if you do a search on this site for “bee keeping” you will be suprised what you can find for free. I use a stethoscope to listen to the hive sometimes, simply because it means I don’t have to bend down as far. Also, it allows me to locate the cluster within the hive during the winter, and I like to know how it moves. I’ve never tried to predict a swarm that way. I don’t worry about swarms. Swarming is healthy, and I don’t believe in taking big measures to prevent it — the simplest way to prevent it is to harvest wax and let your bees build new comb; they won’t swarm if they are building wax unless they need to replace their queen. I don’t want to requeen with a stranger, I like my bees and want to keep those genetics, so I pretty much want them to do it then. A queenright colony does sound quite different from a queenless one, simply because queenless colonies are unhappy, and they sound it.